APArchitects, in association with Moody Nolan Inc., is providing architectural design, support and administration services including programming and design of new spaces, documentation and analysis of existing conditions and future needs, project team coordination and contract and specification preparation. The 2011 phase of the project will provide new wheelchair accessible seating along field level with egress ramps and adjacency to new accessible restroom facilities, as well as new storage and auxiliary support buildings. 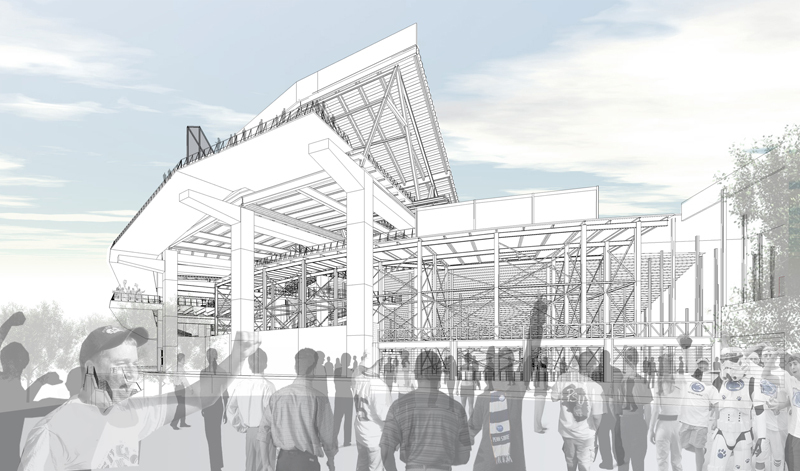 The objective of the University is to improve circulation, egress and overall accessibility throughout the stadium, in turn enhancing the Penn State football experience for all fans.